Home Stylz in Gorleston-on-Sea near Great Yarmouth stock a huge range of borders, net curtains, curtains and soft furnishings and can also help with alterations. From Great Yarmouth follow signs for Gorleston-on-Sea. 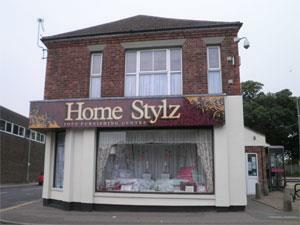 Home Stylz is located mid-way along the main High Street.